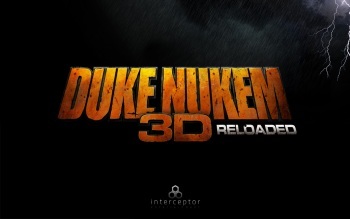 Gearbox says Interceptor Entertainment can release its Duke Nukem 3D remake to the public any time it wants to. Before Interceptor Entertainment got busy on its Rise of the Triad remake (which launches today, by the way) it was hard at work on an update of the classic shooter Duke Nukem 3D. It had a non-commercial license to do so, but work on the project ground to a halt when, according to Interceptor CEO Frederik Schreiber, Gearbox changed its mind about the release. Schreiber said he felt like the studio was being "punished" for making the disastrous Duke Nukem Forever look bad by comparison, but whatever the motivation may have been, Interceptor decided not to waste any further effort on something that would never see the light of day. But now the situation has grown a little more complicated, because Gearbox says Interceptor is free to release Duke Nukem 3D Reloaded whenever it wants to, and more to the point actually wants to see it happen. "We remain impressed by the passion and talent that the Duke Nukem fans at Interceptor Entertainment showed when developing their fan project, and were disappointed when the team announced their decision to discontinue work on it," Gearbox Vice President Steve Gibson told the Penny Arcade Report. "The non-commercial license we granted them remains intact and we hope to see them release Duke Nukem 3D Reloaded whenever they are ready to do so." Whether this represents a change of direction at Gearbox or a simple misunderstand at Interceptor, it's good news for shooter fans. Duke Nukem 3D was brilliant by any measure, and an update for modern machines would be more than welcome. Whether or not Interceptor will go back to it remains to be seen, but at least now it appears that the door is wide open.